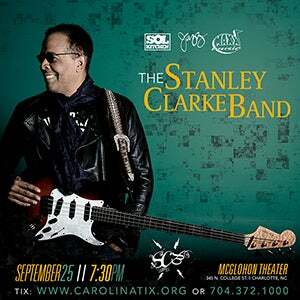 Long before he became a four-time Grammy Award winning, recording artist, performer, composer, conductor, arranger, producer, a composer for recordings and film, as well as one of the most celebrated acoustic and electric bass players in the world, Stanley Clarke was a student. Stanley’s “school days” were not only the inspiration for his world-renowned bass anthem, but essential to the origin story of the pioneering bass virtuoso from the streets of Philadelphia. In his early teens, Stanley moved from the violin, his fingers were too big for, and the cello that never sat well with him, to an abandoned acoustic double bass in the corner of a school band room. It was the first of many moments that would shape his future and the role of the bassplayer for years to come. Stanley remains as driven today as the teen prodigy from Philly with big dreams, and now, a lifetime of legendary accomplishments and contributions.